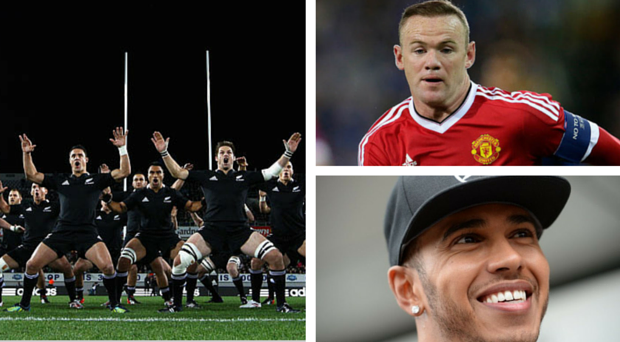 It’s a mega weekend of sport, so we give you a low down on the unmissable events. World Cup semi final: New Zealand v South Africa (Saturday, 4pm): The world number ones face off against the Springboks in the glamour tie of the weekend. With South Africa impressively fighting off the challenge of Wales last week and the All Blacks batting France aside with incredible ease, it’s all set up for a classic at Twickenham. World Cup semi final: Australia v Argentina (Sunday, 4pm): After their obliteration of Ireland last Sunday, the Pumas are seeking a first ever appearance in the Rugby World Cup final – but the second best team in the world stand in their way. After just edging the spirited Scotland, Australia will look to earn a first final berth since 2003. Pro12: Scarlets v Munster (Friday, 7:05pm): The top two in the league clash in Wales tonight live on TG4, with Leinster in action against defending champions Glasgow at 7:45 on Sky Sports 2 and Ulster facing off with Cardiff Blues at 7:35. Connacht face off with struggling Ospreys tomorrow at 1:30pm. Premier League: Sunderland v Newcastle (Sunday, 12pm): The Tyne-Wear derby has its latest instalment on Sunday afternoon, with both sides fighting to move away from the bottom of the table. Sam Allardyce’s first home game in charge of Sunderland couldn’t be bigger. Premier League: Manchester United v Manchester City (Sunday, 2:05pm): The biggest game of the season so far sees two of the top three face off in the Manchester derby this Sunday. With David Silva and Sergio Aguero expected to miss the game, Louis van Gaal will spot a major opportunity to take a huge scalp. SSE Airtricity League: Limerick v Shamrock Rovers (Tonight, 7:45pm): Cork City host Dundalk tonight at Turner’s cross in a clash between the top two, but with Dundalk having already sealed the title, top billing goes to the clash between Limerick and Rovers, with Limerick needing a win to stay in the top flight for 2016. Hurling/Shinty International test 1: Ireland v Scotland (Saturday, 2pm): Ireland face off with Scotland in Inverness on Saturday afternoon in the first of two hurling/shinty international tests. The game kicks off a month of international action, with Ireland playing Australia next month in the International Rules Gaelic Football/AFL match. County finals (various times on Saturday and Sunday): It’s a loaded weekend of action in the GAA, with football titles up for grabs in Laois (Saturday), Cork, Mayo, Sligo (all Sunday) and Meath (Monday) and hurling finals to be played in Ulster, Kilkenny, Tipperary and Wexford (all Sunday). Hong Kong Open (today-Sunday): Graham McDowell is within four shots of the lead in Hong Kong, but after a promising start, Kevin Phelan missed the cut this morning. Justin Rose, Ian Poulter, Patrick Reed and Victor Dubuisson are all in action at the European Tour event as well. Formula One: United States Grand Prix (Sunday, 7pm): Lewis Hamilton can clinch the world title this weekend if he outscores Sebastian Vettel by nine points and Nico Rosberg by seven – and with Vettel taking a ten-place grid penalty, Hamilton is looking likely to become the first ever Brit to take back-to-back championships.